A collaboration between cuisine, art and science. Pescatore, translating from Italian to ‘fisherman’ is an elegant, contemporary space with sweeping views over Hagley Park and the River Avon. In recognition of the restaurant’s name and legacy, the menu from Chef de Cuisine Ryan Henley and his team is predominately focused towards seafood. Pescatore continues to offer an exciting dining concept, enhanced by its stunning interior which is sure to turn heads and rejuvenate guests’ longstanding love affair with this iconic Christchurch restaurant. Our team have created unique and contemporary dishes designed to satisfy the palate and all one’s senses. This passionate team, who have gained outstanding recognition, match a local, seasonally influenced and sustainably sourced ingredient driven menu with professional and friendly service. 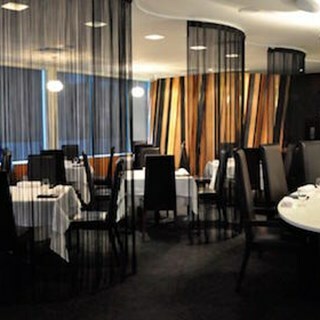 Pescatore, Christchurch’s original seafood dining experience. Pescatore does not offer a children’s menu. Please consider 50 Bistro if you would like a family friendly dining option. Amazing food, atmosphere and service. Highly recommend. Outstanding accommodating service as we had 2 children (9 + 11) in tow. We had expected to eat a la carte since the children were there but were graciously allowed to have adult degustation and children a la carte. Elements of our dinner managed to pleasantly surprise us (eg rendered fat candle) which were fantastic as having eaten at many places we find that which amazes us leaves the best memories. Thank you for a fantastic dining experience. Special experience for a special anniversary celebration. Food and service was amazing, and the knowledge of the wines and food by our waiter Keith was first class. Thanks for a special night where we could sit back, relax and let the food and wine flow! Some very interesting flavour combinations, and excellent presentation. Knowledgeable and friendly staff helped make this an enjoyable evening. Thank you. Amazing food and service! Faultless! It was a beautiful meal and experience. We were celebrating our 34th Wedding Anniversary and the personal finish to the evening was lovely with a  plate of sweets with Happy Anniversary written on the plate. Thank you. My Japanese customers thoroughly enjoyed our night with you. Stephanie was fantastic. Perfect. My guys were Chefs, Restaurant and Resort Owners and they were extremely impressed. Many thanks. We enjoyed the atmosphere and the lady who served us was lovely but it was disappointing after seven courses that the two men in our group left hungry, we needed to stop for them to grab something else to eat on the way home. Other than that we had a lovely time and enjoyed the meals. 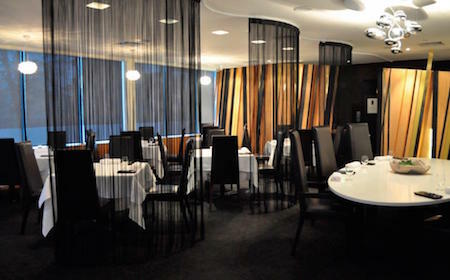 A wonderful evening with discreet attentive service and excellent food. I have visited before and will definitely be back again. Staff were very accommodating and very knowledgeable. It was a pleasure to dine  with you and we had a wonderful time. A perfect way to celebrate a special occasion. Food beautifully presented in small, but delicious and intensely flavoured, servings. When my dessert choice proved to be not to my liking (despite having been warned by wait staff that it was a dessert for adventurous diners) it was replaced at no cost for another dessert. All staff friendly, engaging and helpful, but also unobtrusive. Some extra unexpected treats were a nice gesture and added value to our experience. Keen to revisit to try the next menu. Tasty salmon dish, but could do with something textured on the plate. All the food beautifully cooked and presented. An excellent dinner. The blending of flavours was incredible. Impeccable service. We were so well looked after we didn’t want to leave! We’ll certainly be back. We had a lovely evening, the staff were so knowledgeable and willing to share. It was a pleasurable evening. We had the 5 course degastation & it was absolutely beautiful, but each of the courses where much to small. Always at the top of their game. Outstanding, as always. The best restaurant in Christchurch. Will return at the first opportunity. It was so good as usual. The scampi sandwich was to die for and the oyster filled nasturtium were absolutely devine. We ate here when we stayed at the George hotel at the end of our honeymoon. We had the 5 course tasting menu with wine pairing. The food and wine were fantastic. Great service from friendly and knowledgeable staff. Would definitely recommend for a special occasion. An outstanding dining experience. The food was imaginative and tasted divine and the service matched the food. Well deserving of the 2 hats held by the restaurant. We will most certainly come again when we travel through Christchurch again.